Protecting, Preserving and Displaying the cherished American Flag. The symbol of honor for those who served our great nation. Every flag case is handmade in the USA from solid wood and crafted by skilled artisans with a multi-step, hand-rubbed finish to last for generations to come. 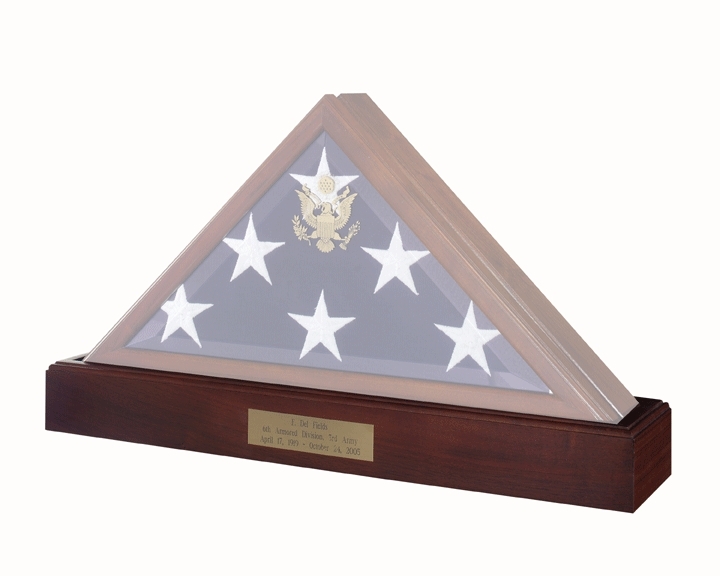 One of our most popular flag cases with an embossed Great Seal of the United States on beveled glass. Solid American Hardwood with Cherry finish. This case opens from a finished wood back panel. 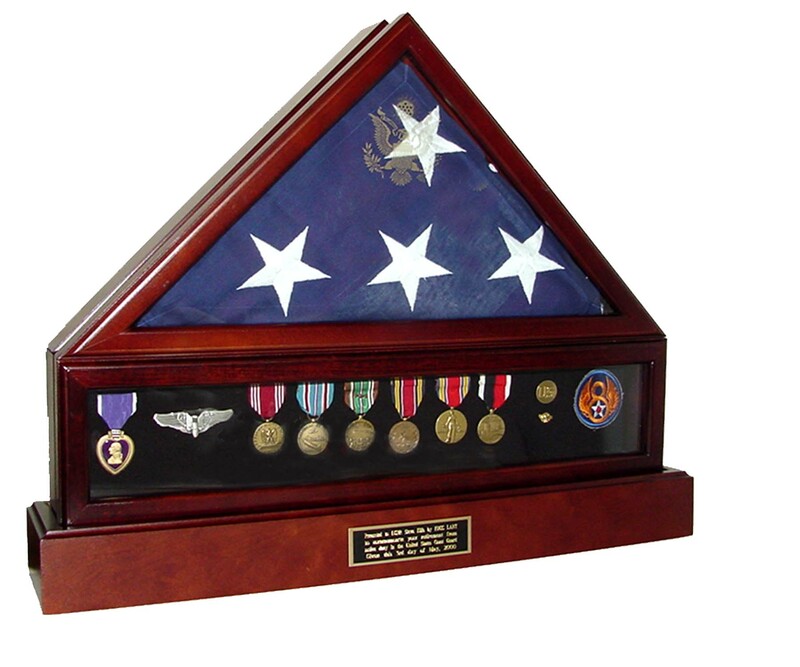 Holds the standard 5’ x 9 1/2’ Burial Flag. Made in America. 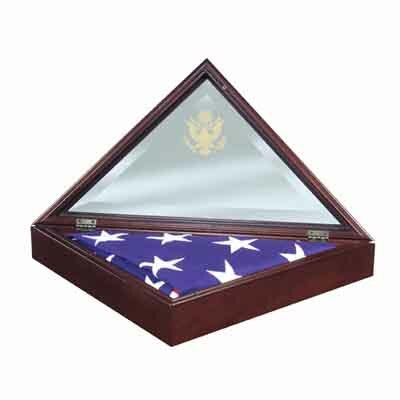 This solid American Walnut flag case was chosen by the United States Military for the fallen heroes in all branches of the Armed Forces. 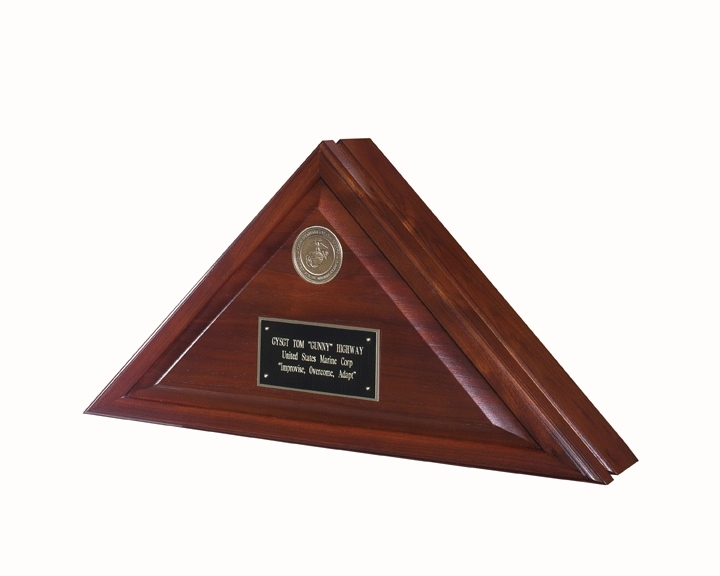 With our exclusive Heirloom Walnut finish, this case includes a service specific 2 1/2” brass medallion and large black-on-brass engraving plate. (Engraving additional charge.) 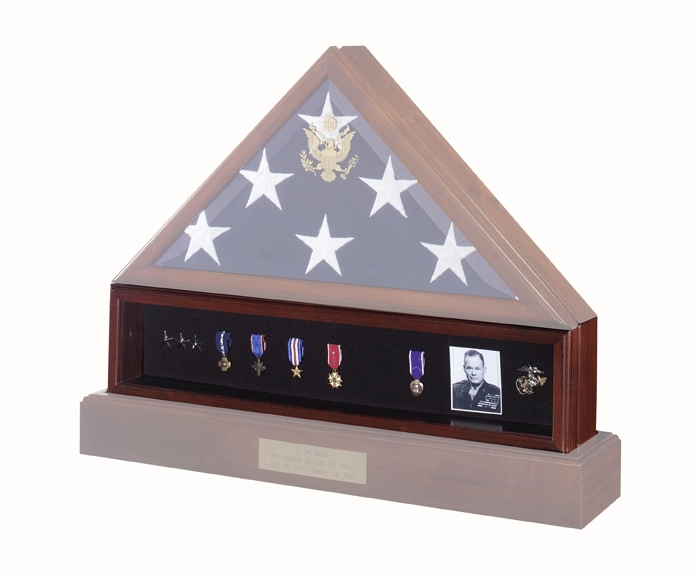 A VelcroTM friendly insert specific to your branch of service is included to mount medals. 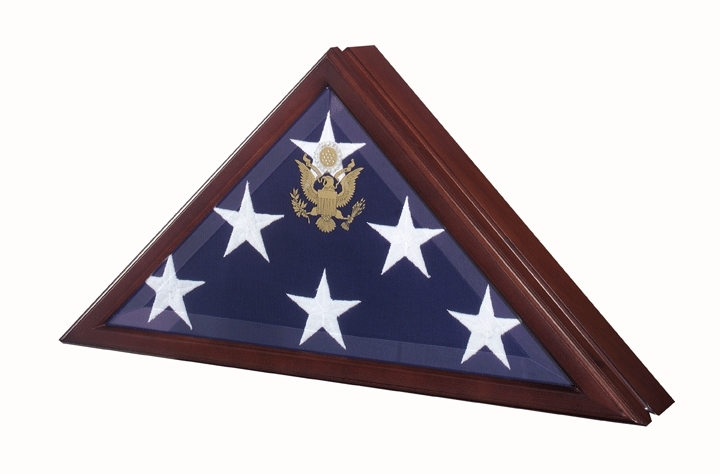 Holds the standard 5’ x 9 1/2’ Burial Flag. Made in America. Complete your display with this case available in solid American Walnut with our exclusive Heirloom Walnut finish. Also available in solid American Hardwood with Cherry finish. Glass front with black Velcro friendly insert to attach medals or memorabilia. Made in America. Our elegant flag case pedestal in solid American Walnut with our exclusive Heirloom Walnut finish. Also available in solid American Hardwood in Cherry finish. (Shown with optional engraved plate.) Made in America.